- A first meeting to discuss all of your exciting wedding plans and to go over everything that you would like for your wedding photography. ​- An optional pre-venue visit to plan for your wedding photography. - An optional £50 engagement shoot. This is a great way to get some practice in front of the camera before your big day and also the chance to get some beautiful pictures of you in a scenic location of your choice. 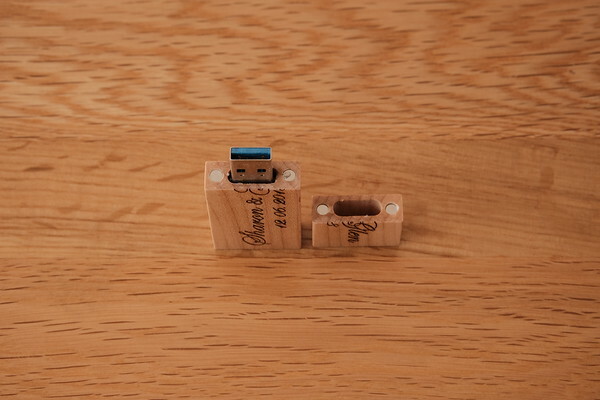 - A stunning, personalised, wooden USB 3.0 set with all your photos on. - Your own private, password protected, online gallery from which you can purchase any and all of your photos in any size print, canvas and other merchandise. All of your photos will be professionally edited before being presented to you. They will be high-resolution and watermark free. 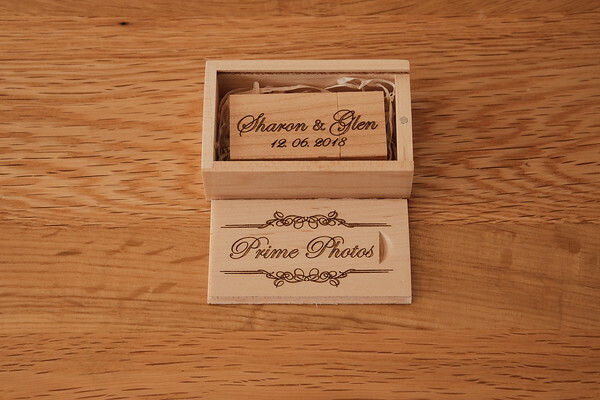 You will receive as standard and included in every Photography Package, a beautiful wooden box which will have Prime Photos inscribed on it, while your USB will feature your names and the date of your wedding. 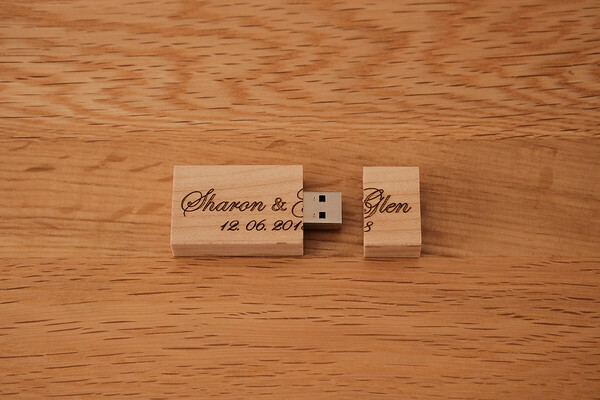 This USB will contain all of your wedding photos. 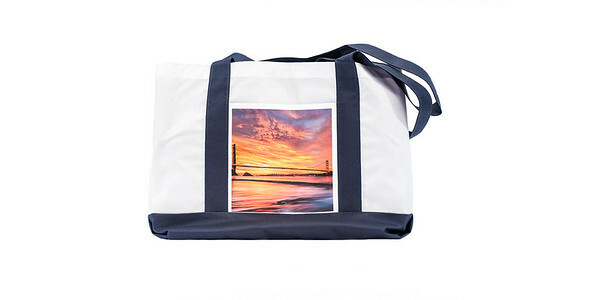 All of your photos will also be uploaded to your own private online gallery. 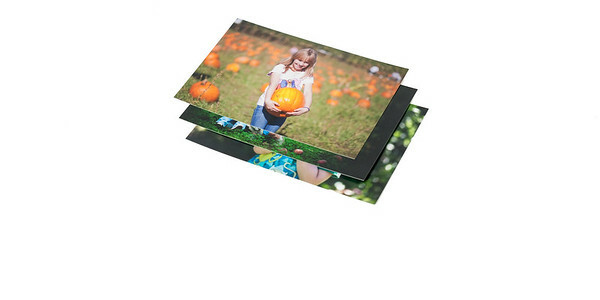 No prints are included with any Photography Packages. 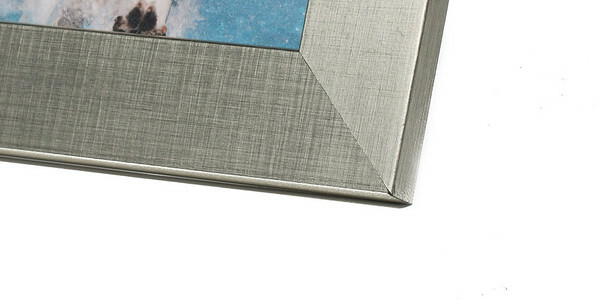 Every image is on your USB and in your private online gallery. This is simply to keep the cost down for the Photography Packages. 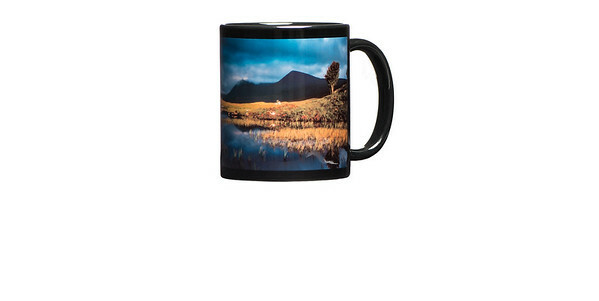 You can easily purchase every type of print and merchandise imaginable, straight from your private online gallery (see below). 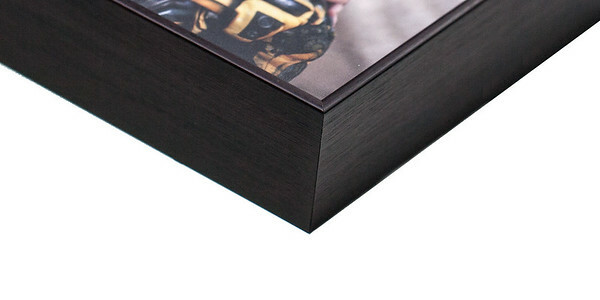 Photobooks are also available as optional extras; you can see details of these further down the page. 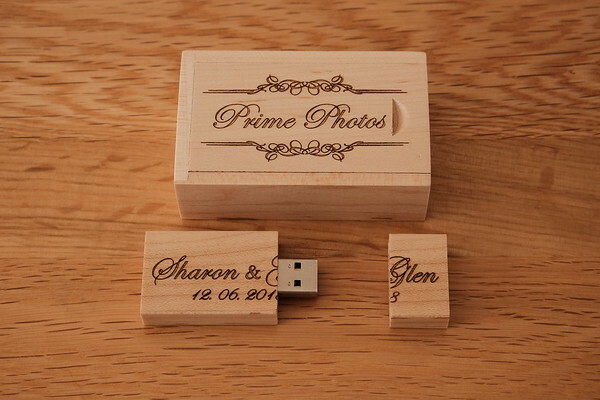 In addition to your USB set, which is included with all Wedding Photography Packages as standard, all of your photos will also be uploaded to your own online, private, password protected gallery. From here, you and your guests will be able to view all of your photos. 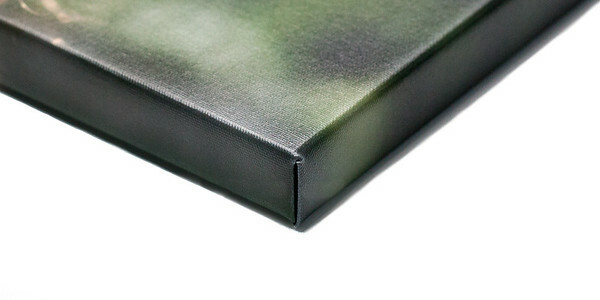 Also, you will be able to purchase prints ranging in size from 6" x 4" all the way to 40" x 30". 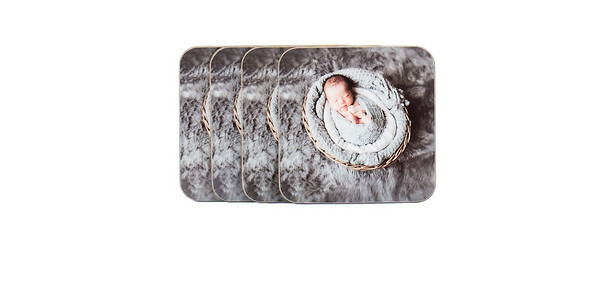 You can also purchase canvases, block wraps, framed, edge prints, acrylic, print wraps and alumini, desk art, keepsakes such as mugs, fridge magnets, mouse pads, luggage tags, key-ring's, coasters and tote bagsand keepsakes. Pretty much any type of print you can imagine is available to purchase direct from your online gallery. All prints and merchandise will be fulfilled by Loxley Colour who are a long established and professional printing company. 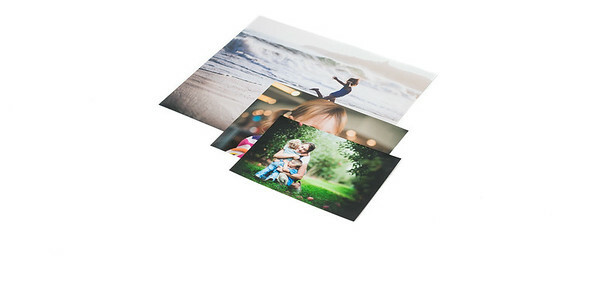 They provide true, high quality, professional prints; not the sort of thing that you would get from going into a local store. Your wedding photos deserve the best possible treatment and quality, which I why I use Loxley Colour for all my prints. 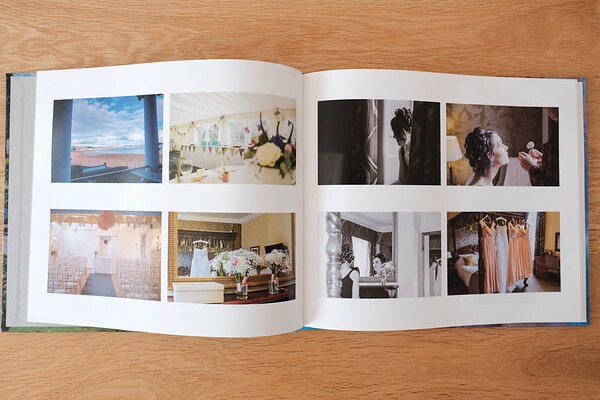 I offer photobooks as optional extras with all Wedding Photography Packages. These will include all of your images from your day. 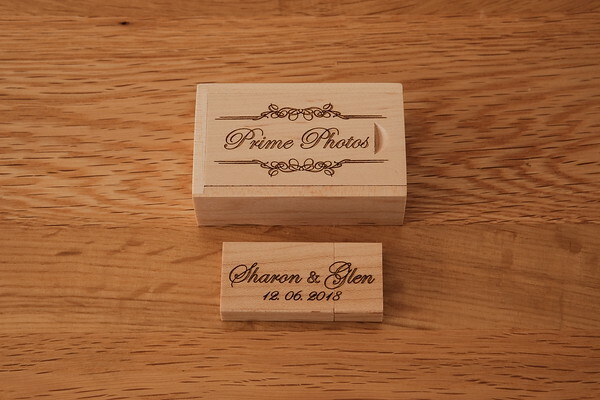 Every photo that is on your USB and in your private online gallery will also be printed to your photobook. 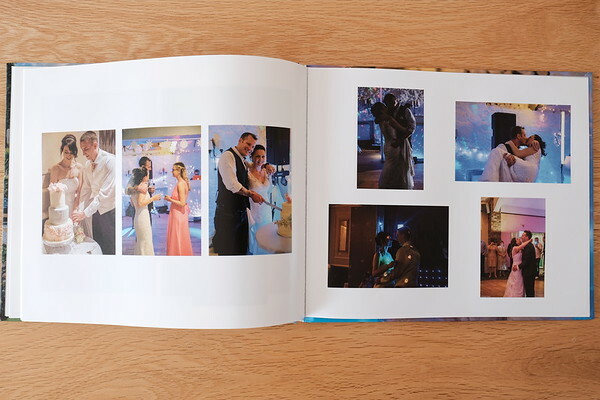 That's right, every single moment from your wedding, all in your own beautiful photobook. 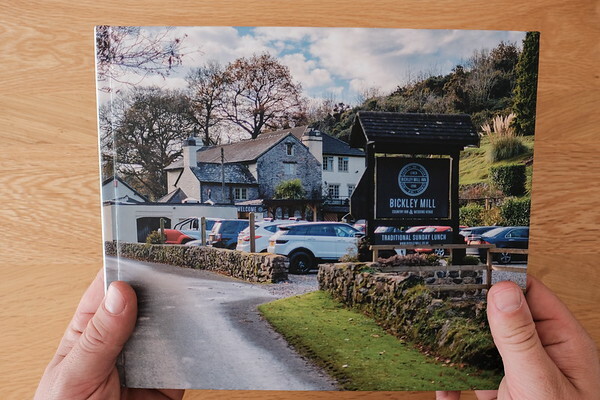 The photos themselves are printed onto Mohawk ​Fine Paper 190GSM with a semi gloss finish. This provides high quality images, deep blacks, true skin tones and rich colours. 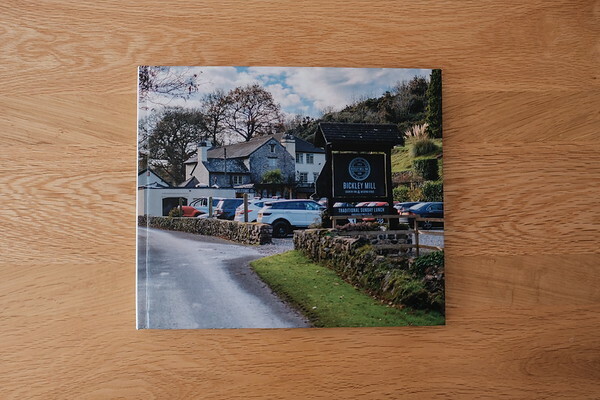 These are not typical 'buy over the counter photobooks', they are professional quality and as such the prints will last in perfect quality for years. I only ever put a maximum of 4 photos per page in each photobook. 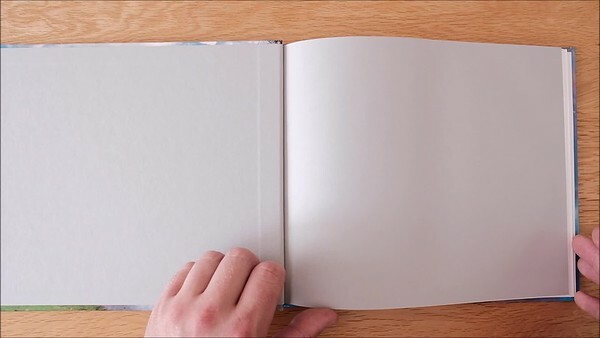 Some pages will have 3 photos and others will have 2 photos. 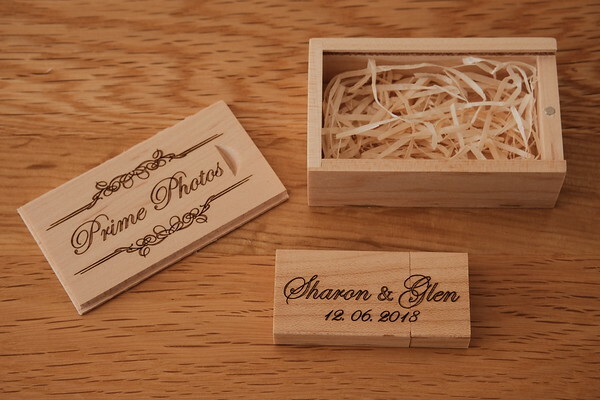 Special moments like first kiss, cake cutting, first dance etc will be 1 photo per page. 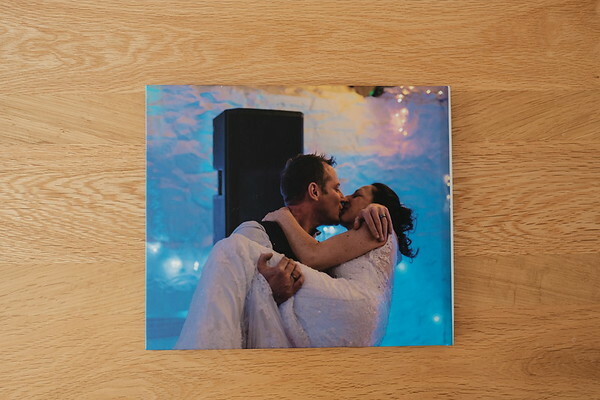 To purchase your photobook, you can either pre-order it when booking me so that it arrives with your USB, which is always a nice touch as you get to see your photos in print for the first time instead of on a screen. 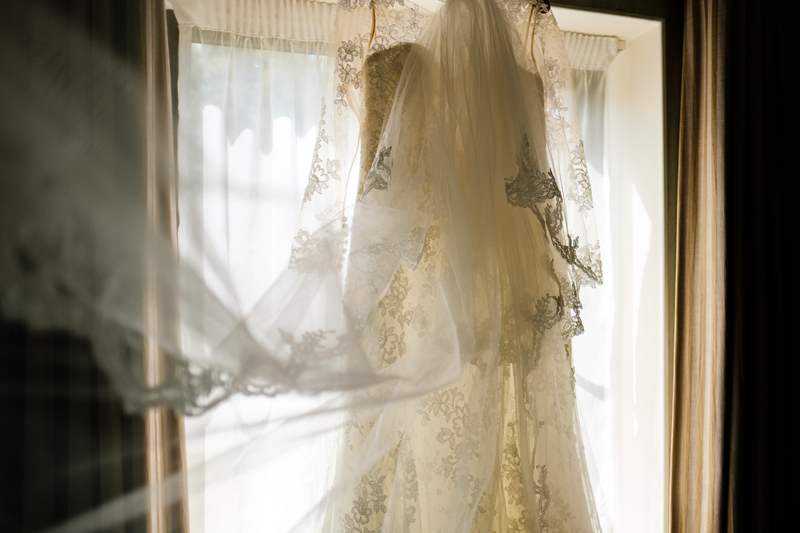 Or you can get in touch with me after your wedding day and I will provide you with a link where you can purchase it. 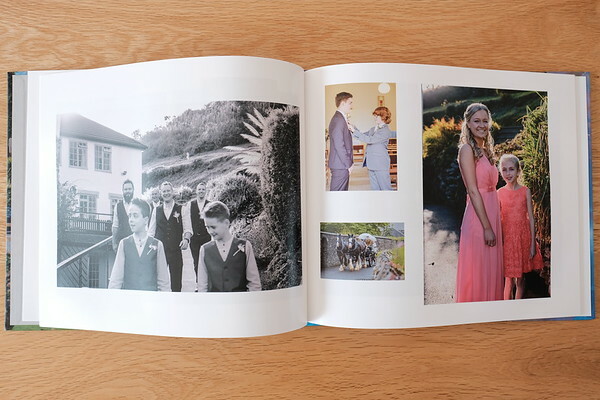 If you are choosing a 10 Hour Photography Package then you will need an accompanying 10 Hour Photobook, if you are choosing a 3 Hour Photography Package then you will need an accompanying 3 Hour Photobook etc. For all Wedding Photography Packages, a £100 Deposit and signed Contract secures your date. Fuel and VAT are included in all prices. There are no hidden charges. I hold public liability insurance up to £1,000,000. I highly recommend you read the page that details 'My Style' so you can see exactly how I like to capture couples special days. In short, my style of photography is to blend with you and your guests. I don't ask for poses or formal photos, I just let your day unfold naturally, subtly capturing the moments and memories that you will cherish forever. To see my Portfolio of photos, click here.